New York, NY - The Joan Mitchell Foundation announced today that arts administrator and curator Kemi Ilesanmi and artist Juan Sánchez have been appointed to its Board of Directors. The Foundation advances the work of living artists through grants, residencies, partnerships, and access to professional services. To ensure that this work is guided as best as possible by the needs of artists, the Foundation requires that one third of its Board works artists in addition to members from other fields. Sánchez joins artists and current Board members Tomie Arai, Ronald Bechet, Yolanda Shashaty, and Jean Shin. Likewise, Ilesanmi brings her experiences working with artists—as a curator, grants administrator, and the Executive Director of arts presenter The Laundromat Project—to the Foundation’s work. artists—such as Coco Fusco, Guillermo Gómez-Peña, Pepón Osorio, and Papo Colo—who in the 1980s and '90s explored questions of ethnic, racial, and national identity in their work. Among numerous group exhibitions in national and international gallery and museum venues, Sánchez had solo exhibitions at BRIC Arts/Media House, P.S.1/MoMA Contemporary Art Center, El Museo del Barrio, Exit Art, Bronx Museum of the Arts, the 5th Havana Biennale, and El Museo de Historia, Antropologia y Arte, Universidad de Puerto Rico. Among several permanent collections, his art is in the Metropolitan Museum of Art, Whitney Museum of American Art, Museum of Modern Art, El Museo del Barrio, and The Smithsonian Museum of American Art. 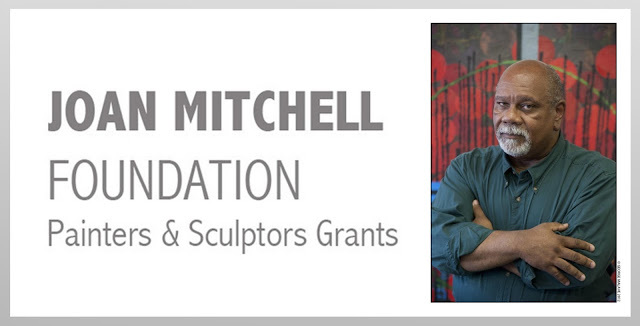 Sánchez has been awarded grants and fellowships from the John Simon Guggenheim Foundation, the Joan Mitchell Foundation, New York Foundation for the Arts, the Pollock-Krasner Foundation, and the National Endowment for the Arts. Sánchez earned a BFA from The Cooper Union School of Art and a MFA from the Mason Gross School of the Arts of Rutgers University. He is Professor of Art at Hunter College in New York City. current members of the Board are: Michele Tortorelli, President; Ronald Bechet, Vice-President; Sandy S. Lee, Treasurer; Jean Shin, Secretary; Alejandro Anreus, Ph.D.; Tomie Arai; Theodore S. Berger; Yolanda Shashaty and Linda Usdin, Dr. PH. Additionally the Board has four Emeritus members: Dan Bergman, Board President Emeritus; John Koos, Director Emeritus; Tyrone Mitchell, Director Emeritus; and Carolyn Somers, Founding Member & Executive Director Emeritus. All were appointed to Emeritus status in recognition of their many years of service and commitment to the Foundation.